Hot off the heels of the release of their ninth studio album, Godless Prophets and the Migrant Flora, Washington D.C.’s Darkest Hour rolled into Dallas last night and destroyed Gas Monkey Bar n’ Grill. Joined on the bill by Ringworm, Tombs, and Rivers of Nihil, it was a solid Sunday night of metal that attracted a diverse audience of young and old metalheads. Playing cuts across the bands discography, the band performed like a finely tuned killing machine. 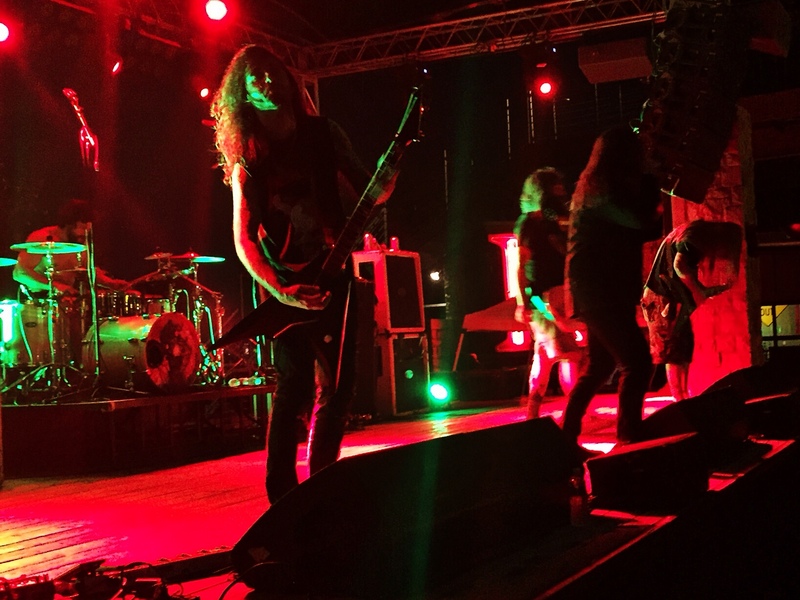 Songs like “Doomsayer (The Beginning of the End),” “Savor the Kill,” and “Rapture in Exile,” put the crowd into a frenzy as they moshed and fist-pumped relentlessly. Tracks from the latest LP, “Knife in the Safe Room,” “Those Who Survived,” and “Timeless Numbers,” fit in perfectly alongside the older material. What’s more, the band appeared inspired to play these new songs and the crowd responded with endless approval. Guitarists Mike Shleibaum and Michael Carrigan capably traded solos and leads as front man John Henry lead the charge. Henry engaged the crowd frequently, encouraging mosh pits and generally commanding the stage alongside his band mates. Since this is the first time I’ve seen Darkest Hour live, the one person who stood out the most for me was drummer Travis Orbin. Simply put, this guy is a beast. I’ve witnessed very few drummers who could shake the ground beneath my feet so effortlessly. There’s only a few dates left on the current U.S. tour before the band heads to Europe. Wherever you are, go see them. Using the term thrash can deceive even discerning fans into thinking this is some throwback. But, there’s as much new-school here as classic thrash. That’s what makes Darkest Hour an interesting band. And their live performance only validates the intensity of their recordings.